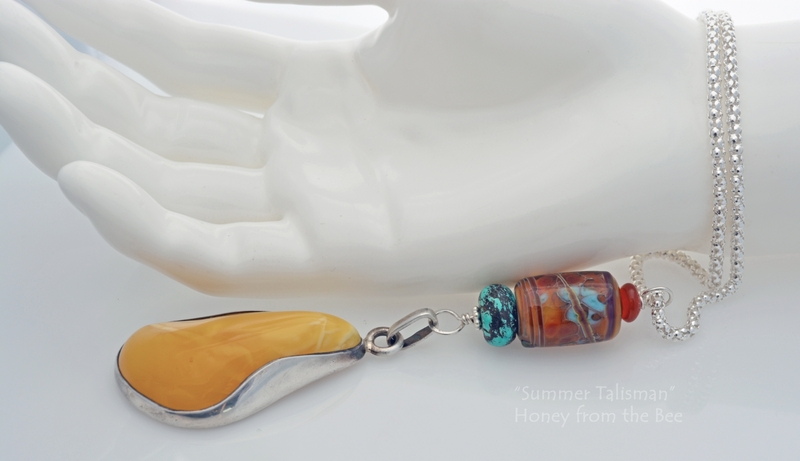 The vintage amber set in sterling silver at the bottom of this one of a kind pendant is quite special. In terms of color it would be called egg yolk or butterscotch. It's a lovely senusous shape that you'll want to run your fingers over as you contemplate your day's agenda. It is set in sterling silver with an open back. I've created a boho style pendant that brings it up-to-date and makes it fun to wear. Carnelian and turquoise capture each side of a fascinating lampwork bead by the artist Lori Lochner. 18 inch sterling silver chain. 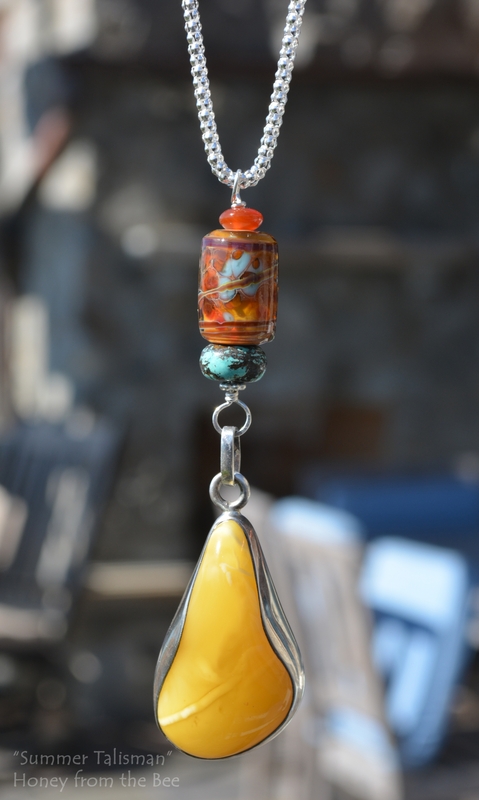 Pendant is 4 3/8 inches from the top of the sterling silver wire bail to the bottom of the amber pendant. Amber comes from ancient pine sap and is found in the Baltic. It is 30 to 90 million years old!! You can see why it is prized not only for its golden color, but also for its age. You will want to keep amber out of the sun and avoid chemical contact from hairsprays and make-up. This is a vintage pendant piece and has been very well taken care of. 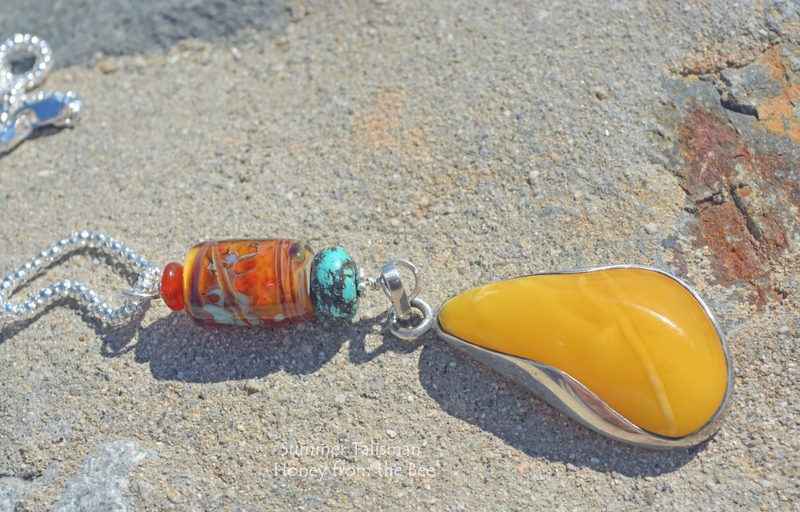 This one of a kind pendant is like wearing sunshine all year round.